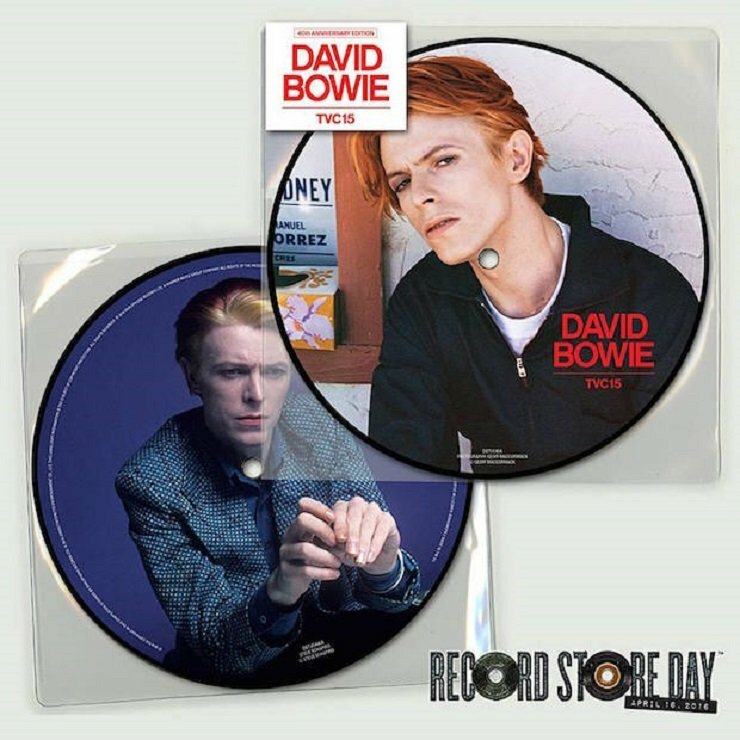 Though their arrival comes more bittersweet than before, it's been announced that a pair of David Bowie picture disc releases are coming our way this Record Store Day (April 16). The late pop star's "TVC15" single and his 1970 LP The Man Who Sold the World will both be treated to new releases next month. The news of the vinyl represses came through Bowie's official Facebook page. There, it was noted that the first record is being pressed to celebrate the 40th anniversary of Bowie's Station to Station song, "TVC15." The track, which was the second single from the album, will be backed by another of the Thin White Duke's classics from this period, "Wild is the Wind." The new pressing of The Man Who Sold the World is modeled off of an older German edition printed up by Mercury records. The artwork, which you can see below, had been cooked up by Witt of Hamburg, and is said to be the rarest of the multiple versions of the album covers to have circulated over the years. As previously reported, a number of Bowie releases have arrived since his death. A number of Bowie's full-lengths were repressed by Parlophone in February, while it was recently revealed that his A Reality Tour concert package will be brought out onto vinyl June 3 through Friday Music.